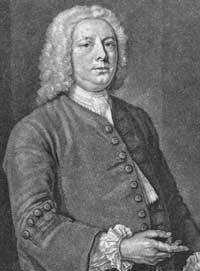 William Caslon I – born 1692 in Cradley, Worcestershire, England, died 1766 in Bethnal Green, England – engraver, type founder, type designer. 1706: begins a seven-year apprenticeship as an engraver with a London harness-maker. 1716: self-employed engraver. 1721: the Society for Promoting Christian Knowledge commissions Caslon to cast Arabic alphabets. 1725: sets up his own type foundry. 1734: Caslon’s first one-page specimen is produced which illustrates 47 of his typefaces. 1737: the type foundry moves to Chiswell Street in London, where it continues to operate for 200 years. William Caslon II – born 1720, died 1778 – type founder, type designer. 1742: joins his father’s company. 1763: father and son issue the first English book of type specimens, which includes 56 alphabets by Caslon senior and 27 by his son, designed between 1738 and 1763. 1766: after the death of his father, Caslon junior runs the family business until 1778. William Caslon III – born 1754, died 1833 – type founder. Caslon III sold his share of the business to his mother and daugther-in-law and used the money to buy the Jackson type foundry, The type foundry remained the property of the Caslon family until 1795. William Caslon IV – born 1780, died 1869 – type founder. 1807: Caslon IV takes over the running of the type foundry until 1819, when the foundry is bought by Blake, Garnett & Co. 1837: the type foundry, still under the name of Caslon, becomes the property of the Stephenson, Blake & Co. type foundry in Sheffield.